If you were unemployed due to Hurricane Maria or Hurricane Irma, you may be eligible to obtain up to 52 weeks of federal “DUA” (Disaster Unemployment Assistance) benefits under a new federal law passed on October 5, 2018. These benefit funds are processed through the U.S. Virgin Islands (USVI) Department of Labor. Individuals who have exhausted Disaster Unemployment Assistance claims and remained unemployed as a result of the disaster. Individuals who have exhausted regular Unemployment Insurance claims and Extended Benefits claims and remained unemployed as a result of the disaster, even if they did not apply for Disaster Unemployment Assistance during the original Disaster Assistance Period. Individuals who had a lapse in continued claim filings and remained unemployed as a result of the disaster, if the reason for the lapse is not disqualifying (e.g., the lapse didn’t result from the individual returning to suitable work). Individuals who have never applied for Disaster Unemployment Assistance (for reasons other than collecting regular Unemployment Insurance benefits or Extended Benefits during the original disaster assistance period) if they can show good cause for the late filings. The person must have been unemployed between September 20, 2017 and September 18, 2018, as a direct result of Hurricane Maria; or between September 7, 2017 and September 7, 2018, as a direct result of Hurricane Irma. The person must help the Department of Labor and Human Resources determine their weeks of eligibility by answering certain questions, including, for example, whether he or she worked or received earnings during any of the weeks for which he or she is claiming DUA benefits. The person will not have to show that he or she searched for work for each week they are claiming the extra weeks of benefits. If you think you may be eligible for extended DUA benefits, be sure to apply. There is no cost or penalty for applying. You must act quickly! To qualify, the person must meet the application deadline, which is May 24, 2019. For people living in the US Virgin Islands, for St. Thomas and St. Croix claimants, unemployment insurance representatives will be available at normal locations 2353 Kronprindsens Gade, St. Thomas, and 4401 Sion Farm Ste. 1, St. Croix Mondays thru Fridays from 8:00 a.m. until 4:00 p.m. For St. John claimants, an unemployment insurance representative will be available in Cruz Bay at the St. John Battery on Monday and Wednesday from 9:00 a.m. to 3:00 p.m. Applicants no longer residing in U.S. Virgin Islands will receive an application by mail or if no application is received claimants may call 340-715-5712. Information is also available on the department’s website at vidol.gov. 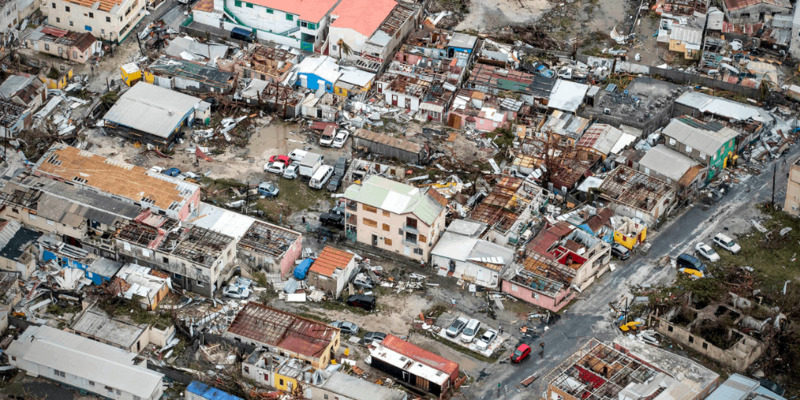 The Virgin Islands Unemployment Insurance Agency wishes to notify the public that a registration package and notice of eligibility will be mailed out beginning March 25, 2019 to relative claimants, who may qualify for the extended Disaster Assistance benefits. Individuals who receive a package must complete the application and return it to the Unemployment Insurance office along with all supporting documents requested. Once the application is processed, the individual will receive an appointment date. Walk-ins and new applications will be accepted, and will be reviewed before processing to determine eligibility. The DUA benefit payments will be made by the USVI Department of Labor “retroactively,” which means that people will receive a lump-sum payment for all the eligible weeks of unemployment between September 2017 and September 2018 for which they are approved.